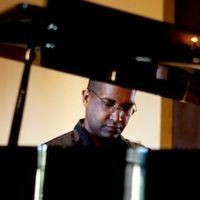 Solo pianist Lee Allen provides the authentic sound of a professional jazz trio performing standards, jazz and pop as instrumental background music for receptions and dinners. Lee Allen makes his own bass, drum and guitar parts for accompaniment, based on his actual experience playing these instruments. Lee Allen has perfected his technique for over 20 years, in restaurants, country clubs, and upscale private homes throughout the Bay Area and beyond. Lee Allen is a member of the TrustLink Community, a program of the Better Business Bureau and the Los Gatos Chamber of Commerce. Lee Allen is a Preferred Vendor of the Rinconada Country Club in Los Gatos, the Saratoga Country Club and the Los Altos Country Club. For this package price, in addition to solo piano music, I provide the authentic sound of a professional jazz trio playing standards, jazz and pop as instrumental music for three hours with one 15-minute break as appropriate. I would arrive approximately 45-60 minutes early for setup. In the event your guests arrive early, I will do my best to be prepared to perform up to 20 minutes before the stated time. If the event runs past the planned ending time due to unforeseen circumstances, I will provide music as needed for up to 20 extra minutes at no extra charge. If your event includes speaking or a special-performance by another individual or group, my music would be integrated into your planned program as appropriate. This package has been specified "Delayed Confirmation of Booking", but may be available with less than 72 hours' notice. Please contact me if you need a short-notice response. 1. Cancellation policy: All fees paid are non-refundable 2. Methods of payment accepted for package balance: - Visa / MC via PayPal (payments@lee-allen-pianist.com) - Check - Cash (with receipt) 3. All forms of payment are at or before the start of event 4. If invoice is required, please notify me at time of booking. If the timing of invoice payment MAY cause payment to occur after event date, please notify me at the time of booking.